Should I Be Afraid of the Future? Hey folks, long time! I’ll get right to the point. I came across these trailers lately while chatting with my fellow fans of SF and Space Opera (SO). As you may know, one of the highlights from SD Comic Con every year are the trailers for upcoming movies and SF television series. Well, this year, a particularly interesting looking trailer was featured, one which got a lot of people excited. Based on the novels of James S. A. Corey, the Expanse is set 200 years into the future, when humanity has colonized Mars and established a mining colony on Ceres. Tensions are brewing between Earth and Mars and a full-scale conflict is feared. Meanwhile, the people who work the Asteroid Belt (known as Belters) are resentful over the ways they are exploited by planetary governments and are threatening to revolt. Enter into this a detective looking to solve a murder, but who naturally gets caught up in a web of intrigue. 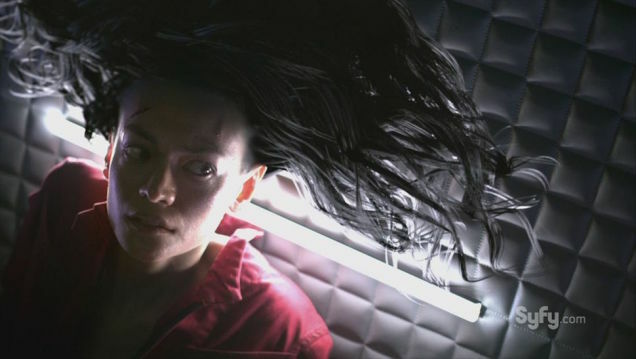 Naturally, the trailer impressed quite a few people, and Lauren Davis, the writer from IO9 who was there to write about it, even went as far as to say that this is the kind of show fans of SF have been “wanting since Battlestar Galactica”.